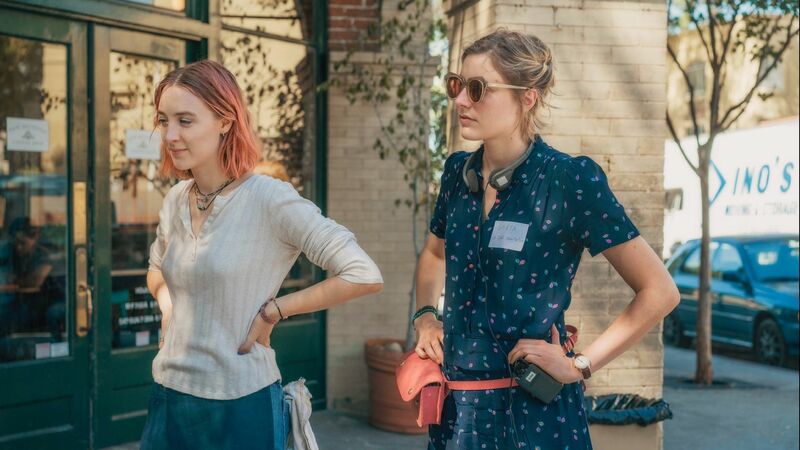 Greta Gerwig’s directorial debut Lady Bird (2017) – a mother-daughter story that she has called a “love letter to Sacramento” – was featured in the Main Slate at the 55th New York Film Festival. A kind of coming-of-age tale set in post-9/11 Northern California, the film explores questions of home and the invisible forces of class at work in a family’s day-to-day lives. Following the film’s screening, Greta Gerwig sat down with the Director of the New York Film Festival, Kent Jones, to discuss her experience working in the film industry, collaborating with talented actors Saoirse Ronan and Laurie Metcalf, the autobiographical core of a fictional story, and much more. Lady Bird premieres in U.S. theaters on November 3rd, 2017. I have a very long draft of this movie from December of 2013 [that] was about 350 pages. It wasn’t 350 pages of something that was narratively cohesive; it was 350 pages of stuff. I then looked at it to figure out what felt essential and what felt like the core of the story to me. I don’t really decide what the core of a story is before I write. I write to figure out what the story is. I think the characters end up talking to you, telling you what they want to be doing and what’s important to them. So, in some ways, your job is to listen as much as to write. I didn’t have [Saoirse Ronan] in mind when I was writing, but in 2015 I met her at the Toronto Film Festival. She read the script and she really responded to it. I was going to be there with Maggie’s Plan (2015) and she was going to be there with Brooklyn (2015). We met and we sat in her hotel room; she read all of Lady Bird’s lines and I read everybody else’s lines. I knew within the first two pages that she was Lady Bird and that she had the part, but then I just selfishly wanted to hear it all out loud. She’s such an incredible actress. I really can’t say enough about her. There was something about the way she did it that was instantly different from how I’d heard it in my head and so much better and more unique. She has this quality of being always emotionally at a 10, which made it that much funnier because it was all out of a place of sincerity. She never played the joke with quotes around it, she always played it from the inside. It made everything vivid in a way that I’d always hoped for. I knew [Laurie Metcalf] had this enormous power and this skill set and empathy that she brings to the character. I had seen her on stage more than anything else. When we were thinking about the part, as soon as her name came up as a possibility I thought: she’s a genius, if she wants to do this. We talked on the phone and she didn’t need to spend a lot of time going on about the character. She just said: Sometimes things come into your life at the right moment. I currently have a 17-year-old child that’s trying to kill me, so this is exactly what I need to be doing right now. Working with her was extraordinary and I learned so much. Getting to watch her and Saoirse work together, it was like [watching] a matchup of two greats. I didn’t go to proper film school. I went to Barnard College for women, uptown. When I started production on this I had been working in film for 10 years, and I’d done sort of every job that I could do. I was lucky enough to act a lot and be on a lot of great directors’ sets. I’d written, co-written, held the boom, edited, costumed, I’d applied powder. I felt like I was [doing this] in a way to gather my 10,000 hours or whatever Malcolm Gladwell’s requirement is. When I finished the script, I [thought] you’ve always wanted to do this, you’re not going to get any more information, you’ve just got to jump and go do it. It was a wonderful experience making the film. I hope I continue to act in projects that I love with directors that I admire, and now that I’ve torn the band-aid off I’m going to keep writing and directing films. I feel that working as an actor, for so many reasons, is such good training for directing. One of which is that most directors are only ever on their own sets – they don’t actually know how anyone else does it. I’ve been on a lot of sets and seen a lot of different ways of working and relating to actors and crew. They could be as little as having your crew wear nametags every day, which sounds small, but if you switch out a camera operator, [the actors] don’t know who it is. I stole that from Mike Mills on 20th Century Women (2016). My greatest joy is working with actors and watching them bring life to these things I put on the page that are essentially dead until they bring their spirit and artistry to it. I adore them and I think they know that, and I have a lot of empathy for what I’m asking of them, because I’ve been there and it’s hard. 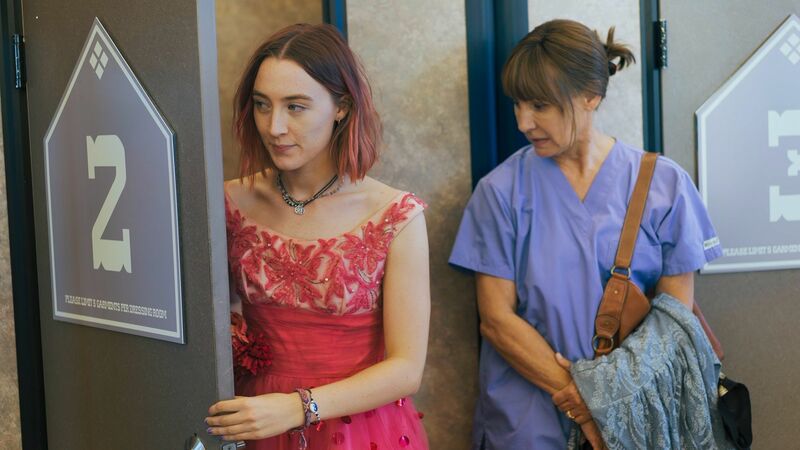 Saoirse Ronan and Laurie Metcalf in "Lady Bird"
Nothing in the movie literally happened in my life, but it has a core of truth that resonates with what I know. I really wanted to make a movie that was a reflection on home and what home means. I felt like this was a love letter to Sacramento. What better way to make a love letter than through somebody who wants to get out and then realizes that they love it. You follow this family and this world and these people, and in a way it’s secretly the mother’s movie as much as it’s Lady Bird’s movie. I wanted that kind of reversal to happen. Somebody’s coming-of-age is somebody else’s letting go, and I was just as interested in the letting go as I was in the young people’s stories. Class is a very difficult thing in America. One of my favorite filmmakers is Mike Leigh [who’s] British. The British class system is very clear about who’s where. In America, something like 95% of people describe themselves as being middle class, and that’s people who fall in the end of the poverty spectrum and at the very top. We’re uncomfortable with class, but it’s an invisible force that shapes people’s lives. Life is not fair and resources are not divided fairly, either in talents or economics. Lady Bird is always looking up at people she thinks have more and have it all together, meanwhile those people are looking up at others. She also doesn’t see how much she has because in a culture of more more more, there’s no way you can appreciate what you have. It’s not explicitly stated, but I would guess that her best friend Julie looks up to her and thinks she’s got it. She’s got a house, two parents, she’s okay. It’s that disease of always looking up and never being where you are, combined with the fact that these things are very un-talked about. That’s something I wanted to explore and have a reality to. 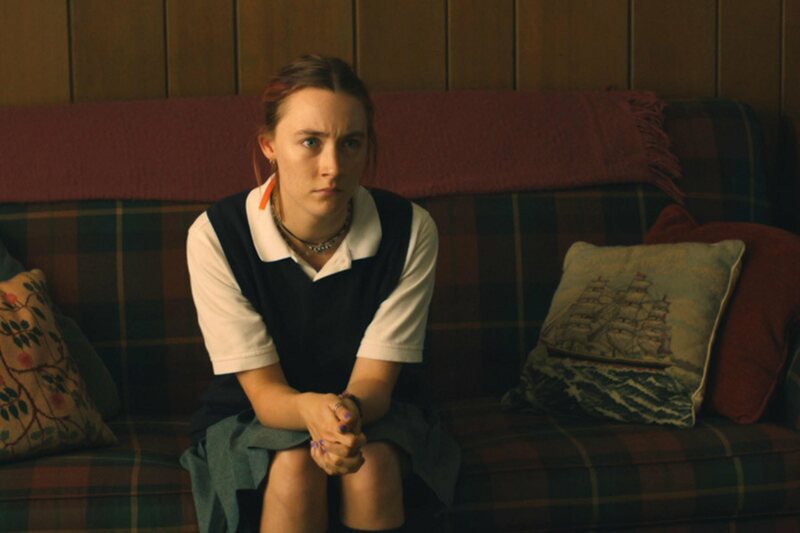 Saoirse Ronan in "Lady Bird"
I wanted [the story to be set] in a post 9/11 world, when we were starting our invasion into Iraq. I felt like this huge thing happened and then we were ushered into a new age of global politics almost instantly. Everything was shifting, but in a way it was also invisible. I think that there’s a sense sometimes in movies that your personal life happens over here and politics happens over there, but that’s not the way anybody lives. Everything goes together. You’re living through the historical moment you’re living through at the same time you’re dealing with your children or your work or your house or whatever is going on in your life.